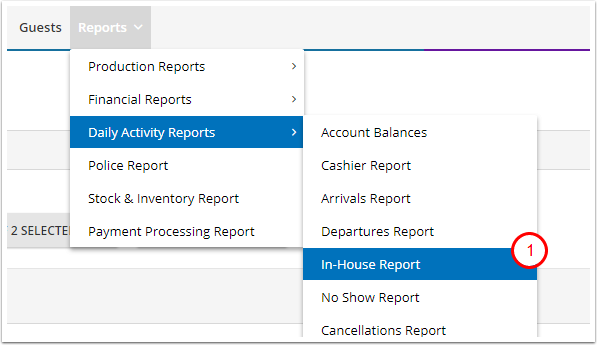 This report is under the Daily Activity Reports section and shows all the guests that are checked in and set to a status of In-House. The report also shows all of the additional guests that are registered/assigned to those reservations. In-House reservation definition: Reservations checked in but have not checked out.